This is what I wore out to my Birthday meal over the weekend. I'd been 'umming' and 'ahhing' over whether to purchase this dress and had picked it up and put it back several times before finally purchasing it last week. 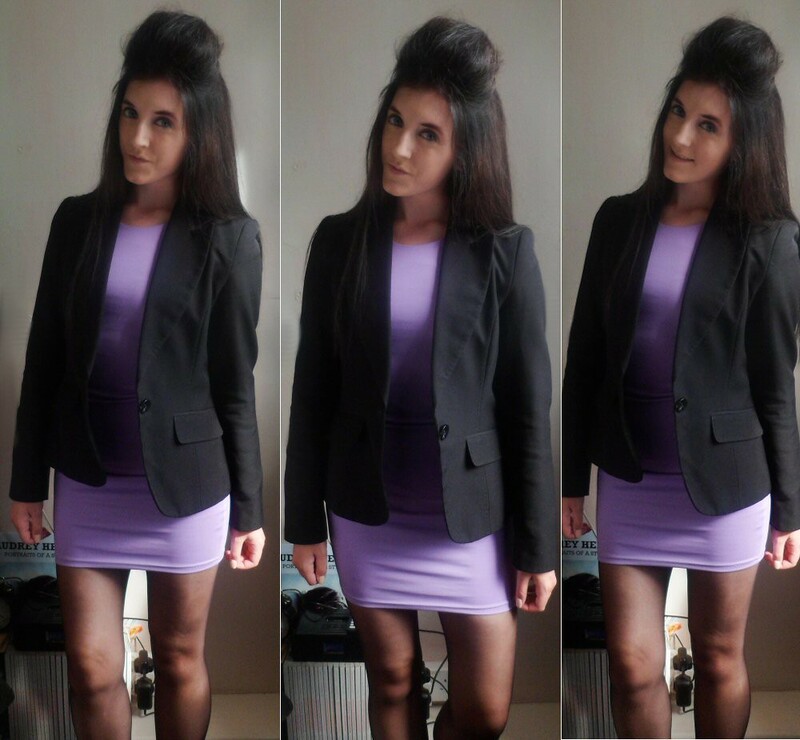 I love the colour, I think it's such a pretty lilac and it pops well with a black blazer whilst still looking smart. I also like the high neckline as, let's face it, I'm no Pamela Anderson, so the legs were on show instead! It was a lovely night as my friends surprised me by turning up to the meal and I had some lovely gifts given to me. The realisation of being 21 is starting to hit me in a scary way though. Now I'm practically graduated, it's the first time well, since, ever that I've ever needed a full time job as every other gap between education I've had part time work or have done internships/work experience. I hope I get a job soon, preferably in the field I want to go in, but I realise that this is probably wishful thinking. I've just got to keep applying and hope that someone, one day, gives me a chance!